This is not new footage from a supermassive black hole. It is, however, footage of a supermassive problem we might be able to fix with AI before it is too late. 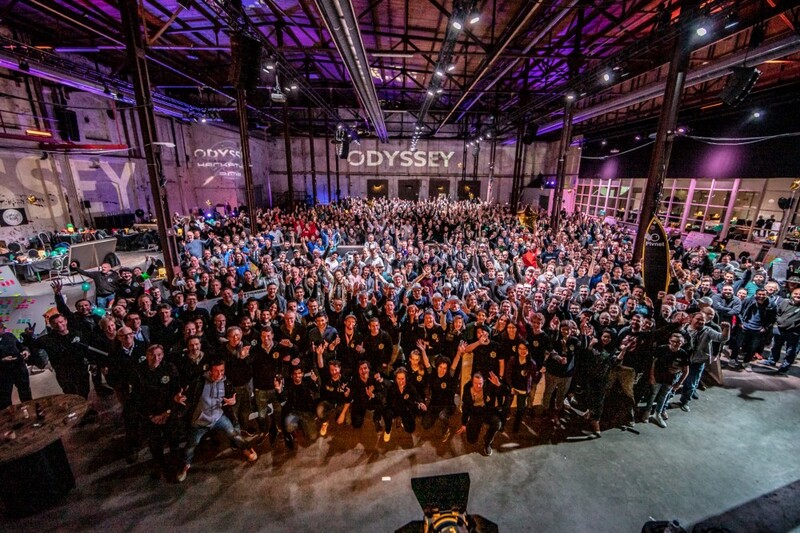 Last weekend we participated in the largest Blockchain and AI Hackathon of the world: The Odyssey Hackathon in Groningen. Our challenge: find a scalable solution to preserve the habitat of wildlife in the tropical rain forest of Borneo. Although we didn’t win the Hackathon, I am happy to say it was a very successful one! Everyone in the team did a fantastic job. During our preparation sessions, we already had in our mind to BUIDL a forest change prediction algorithm. If we could predict rainforest change before it happens, authorities could act quicker and mobilize ground forces before the damage was done. Also, there are dozens of online satellite datasets available that can be used to train our model, so what are we waiting for? Friday 12:00 AM we kicked off. We started setting up a classic machine learning model. Quickly we came to the conclusion the random forest model (ironically enough) outperformed all other machine learning models on the Terra-i forest loss dataset of northern Borneo. 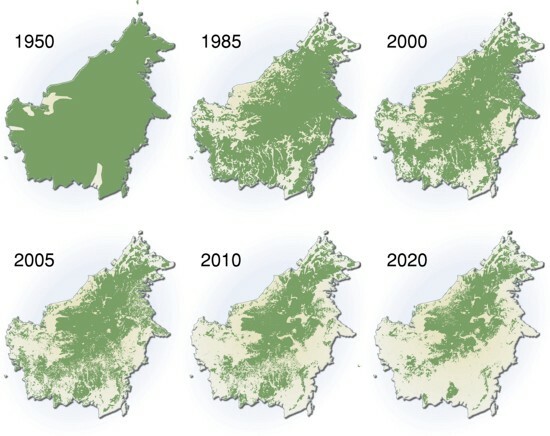 The model predicted forest loss in 75% of the cases correctly (marked as yellow dots). After some quick result celebration beers on Friday, we started to zoom in on the predictions. Using a method called feature importance we looked at the importance of each feature in the model predictions. We saw that the latitude and longitude are found important predictors in the model. It was obvious that previous logging locations could tell us more about the likelihood of future logging locations. Put differently, the model learned itself the popular logging locations. But because the logging intensity in Borneo is currently so incredibly high, getting them right was mostly luck. We, therefore, needed to find a different approach. After a short night, we started rethinking the problem. With the advice from our mentors, we decided to exclude the latitude and longitude as features in the model. We also came to the insight that we had to look to patterns over region of deforestation (i.e. development of new roads, waterways or soil types). If we could predict patterns we could easier identify new logging locations. We used a different dataset containing high-resolution satellite imagery. The footage from the Sentinel I (optical) and Sentinel II (radar) data would do the job. 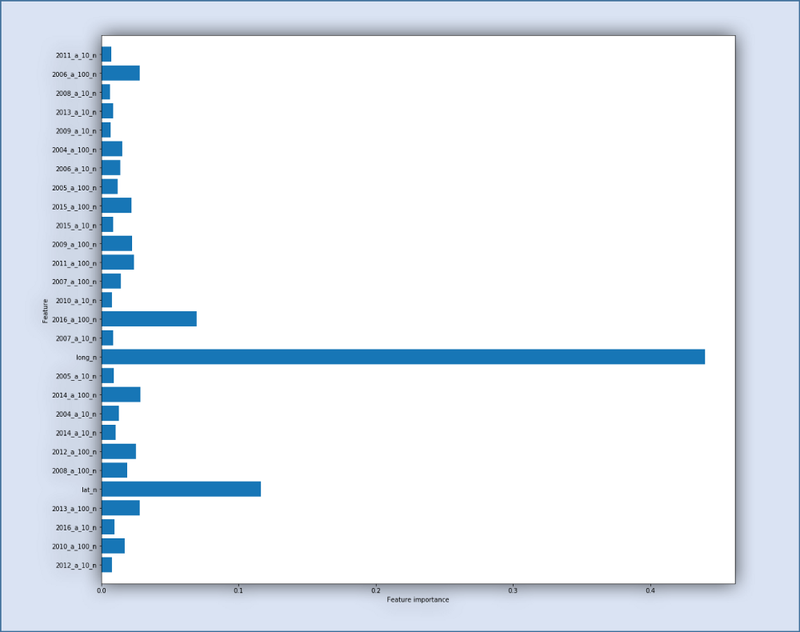 We enriched the data with soil data. 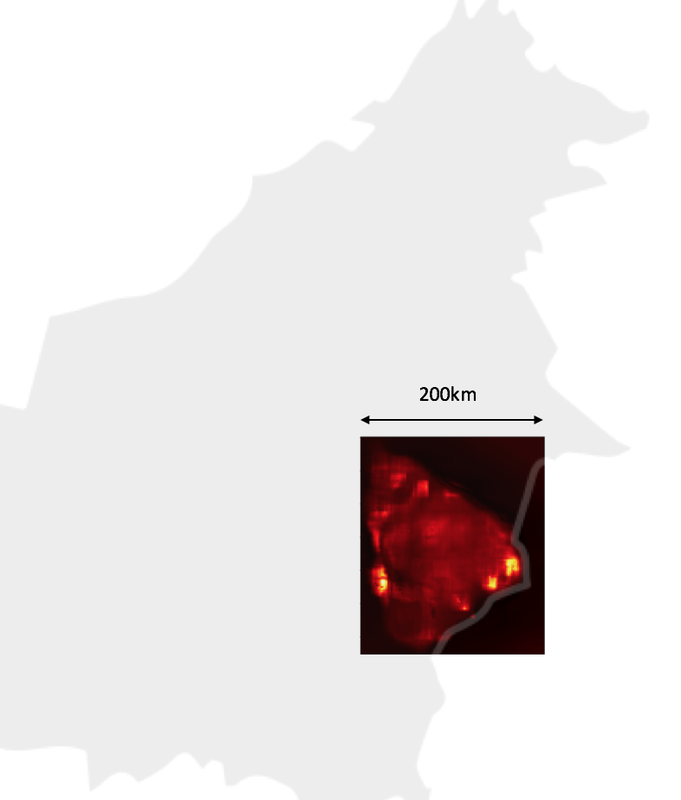 The bigger dataset made us zoom in on a smaller region of the island. And last, based on this data a machine learning model would no longer give us the best results. We started looking at different deep learning models instead. 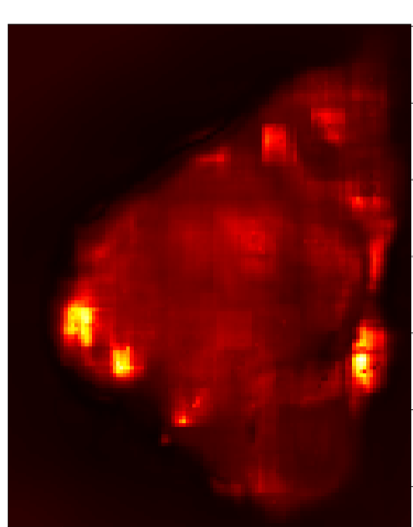 The deep learning model learned from the patterns of deforestation and gave us a map with hotspots with 80% certainty! Again this model is trained to predict new logging locations instead of the expansion of current logging locations. It was an intensive weekend with hard work and a lot of fun. Oh, and almost forgot, we also managed to build a blockchain solution that helps farmers to exploit forest in a sustainable manner. Maybe I’ll spend some time to write about this as well. It was a great odyssey.